No matter what kind of big success you want to achieve in life or how much money you want to earn from your business, you need to start with baby steps. A lot of people fail to realize that baby steps are the ones responsible for their success. They want to make it big, but they don’t want to start small, which is why they fail. Let’s face it, we all want to get rich, we all want big success, and we all want it fast. The problem is that no matter what it is that you want, it all started small. There is no way you skip the process and get to the destination in one step. Lao Tzu was right, the journey of a thousand mile begins with a single step. Most people want to get to the end without going through the process. 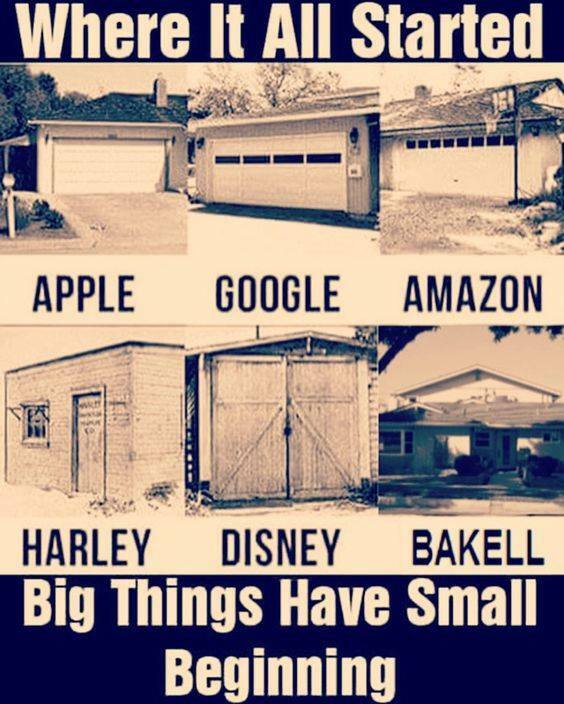 Every big success was once started small. Every master was once a beginner. Champions are not born. They were made. Before you can reap, you must sow. However, many people wanted to reap before they sow. They don’t want to put in the hard work. They don’t want to go through the process. They want a shortcut and get the big results they desire at once. Babies learn to walk before they run. So what makes you think you can go against the law of nature and skip the process to get the success you want? My friend, baby steps are important. They are necessaries to achieve the results you want. This blog will never become what it is today if I did not put in the words each day, one word at a time. When I started this blog in 2015, it was just a blog with a few pieces of articles. Today, it has over 300 pieces of long-form content that consistently getting attention from the search engine. I started this blog from scratch. But I decided to take baby steps throughout the years. It got me to where I am today. The same goes for everything you want to achieve in your life. No matter what it is that you want to accomplish, start small. Take one small step at a time. As long as you’re doing it right, eventually, you will get there. Success requires clarity and focus. And without the focus on where you want to go, you will feel lost and get overwhelmed with information overload. When you start with baby steps, you will know exactly what you need to do. And all you have to do is to follow the steps. You don’t really worry or care about what is going to happen in the next 10 years, all you do is focus on the progress and do it now. Yes, baby steps help prevent procrastination. People procrastinate and delay getting their work done because they feel overwhelmed. They feel that the work is too big to handle and they have no idea where to start. But when we talk about baby steps, they are easy to do tasks that you can get done in minutes. One of the main reasons successful people are able to produce amazing results is that they have the momentum and confidence. And it all comes from taking one small step at a time. When you accomplish one small step, you create one small victory that will boost your self-confidence. The bigger the task, the more time and energy it is going to take. But when it comes to baby step, it is easier to get done. And this actually lowers your resistance to begin and to get it done. So the next time when you feel you don’t have the motivation to do the task, break it down further into even smaller pieces, and then just start. Starting small is important because it is the first step. There is no way around it. You can’t jump steps. You can’t stand on the weighing and lose 10 pounds straight after your exercise session. It all started small and the results will accumulate. Hence, stop buying into the idea that you can lose weight, earn big money, or build a successful business without hard work. Now that you understand the importance of taking baby steps, let’s talk about how you can do it to make it all work for you. The easiest way to apply the concept of the baby step is to break down your bigger tasks into smaller ones. As you can see, the one task, to write and publish an article on your blog, has now been broken down into many smaller tasks you can manage easily. When you do so, you are greatly lowering the resistance of the bigger task and make it easy to do. The steps become clear and you know what you need to accomplish. Another method you can use is to limit the time spent on the task. You don’t have to work out in the gym for 2 hours straight, all you need to do is to commit to doing it for just 15 minutes. The One-Minute Rule is a great example of this. For instance, when you think that you need to exercise in the gym for 2 hours, it may seem like a daunting task. Switch that thought with just a 10-minute exercise. Now, anyone can complete a 10-minute exercise. And it makes you less likely to procrastinate. The key is to limit the time frame and to put yourself into action. When you get to the gym and work out for 10 minutes, guess what, once you are in motion, you will build up the momentum and you will never want to stop. James Clear, the habit expert mentioned in his blog that one great way to force a new habit is to make it easy to carry out. If you want to build the habit of flossing your teeth, you can put the floss right next to your toothbrush. This way, after you brush your teeth, you can reach the floss and do the flossing. You make the new habit easier to perform. If you want to drink more water, put your water bottle on top of your working desk. This way, you have constantly reminded yourself of drinking more water. You literally make the process easier to carry out. Another way you can start small is to list down all possible action steps you can do. If you want to start an e-commerce business, what you should you do? If you focus on answering this question, you can get all kinds of answers. And the best way to overcome information overload is by listing down all the possible action steps. 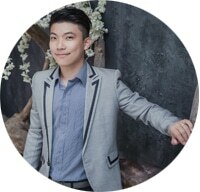 So what can you do to start an e-commerce business? Write down all your answers. For example, you may need to register a company, create a bank account, register a domain name, set up the website, get a decent web design, upload all your products, images, etc, etc. The key is to list down all necessary steps so that you can know where to begin. Want to start with baby steps? Then reverse-engineer your goal/task. In other words, you begin with the end in mind. You start with the big goal you want to achieve in your head, and then you work backward to the point of where you are right now. Need to lose 50 lbs in the next 2 years? That’s just 25 lbs per year, or about 2 lbs per month. Half a pound per week. Which you can then do by consistently planning an extra workout and maybe 2 extra home cooked meals and keeping a food journal for accountability. As a bonus, your mind will be on your side if the task is as simple as a half-pound per week, where you might self-sabotage yourself thinking about the huge goal of 50 lbs to lose. Don’t know where to start? Well, just envision it. See yourself achieving the goal and completing the task, what is the progress? What do you do to get there? 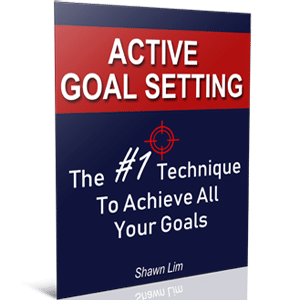 This is similar to reverse engineering your goal, just that you’re doing it in your mind. You envision vividly how you sit on your desk, come up with the article title, create the draft, write the content, to the point where you hit the publish button. When you envision the process, it can motivate you to actually take action and act on the task too. 7. What is the one small step you can take now? Asking this question helps identify your action step. And when you know what you need to do, do it. Don’t wait and don’t procrastinate. Remember, you just need to make it so small and so easy to do that you won’t say no. If you want to do 30 push-ups, start with just one. Anyone can do just one push-up. The key is to get you started. You want to put yourself in the action mode. Once you’ve moved, you will have the momentum to continue to do more. You can’t skip the process. It is necessary. So start with baby steps and grow from there.